Spokane, Washington, is such a popular city that it has been recognized as one of the top ten All-American Cities. And with a busy population of more than 210,721 people, it has transportation options that not all cities have, including Spokane taxicabs. From Uber to smaller taxi companies, residents and visitors have access to a variety of companies to get them to where they are going. However, with these benefits there are also risks. Cabs don’t make money unless they are transporting someone, so they tend to be in more of a hurry, and their drivers may take more risks than others on the road do. The companies know this and try to select their drivers carefully, but accidents still happen. In such cases, an experienced Spokane taxi accident lawyer can be helpful in making sure you receive any compensation you deserve for your accident and injuries. As a passenger in a taxi, you don’t assume any of the financial risk when there is a taxi accident. Washington is a fault-based state, so the person at fault for the accident is the one who must usually assume the financial responsibility. This means that if the cab driver isn’t at fault, their insurance company does not have to pay the damages either. The damages and expenses would then be the responsibility of the other driver. At the same time, there is always a risk that the other driver doesn’t have the required insurance or the funds available to assist you with the cost of damages. In such cases you may have to turn to the taxi company and their insurance coverage. In either event, getting the other driver and his or her cab company to accept responsibility isn’t always easy. If you are a driver who has been hit by a taxicab or otherwise involved in an accident with a taxicab, the situation is a bit different. Drivers in Washington have an obligation to carry liability coverage. Accidents are covered based on who is at fault, so it’s important to make sure you have adequate coverage. It’s also important that you contact the authorities even if the damage doesn’t seem to cross the $1,000 threshold that Washington has in place for accident reports. The voice of any authorities who were on the scene can be beneficial and unbiased if and when the accident comes down to a court hearing to deal with the damages. Taxicab companies don’t use the same kind of lawyers that the average person does. When taxicabs are in an accident and the driver is at fault, it can be an ongoing expense for the company. Even if they don’t keep the driver on staff, their insurance rates can increase with each accident that any of their drivers are involved in, not to mention the negative reputation that also comes with an accident. Part of the job of a corporate attorney is to minimize ongoing costs, meaning that the taxicab company won’t be eager to admit responsibility. People going up against a team of corporate lawyers are likely to be hit with a lot of terms they don’t understand. On top of being upset about the accident and costs, they may be intimidated by facing a team of lawyers. The taxicab company may even offer to settle for a lower amount than you deserve, simply to put the accident behind them. Before you sign or agree to anything, make sure you have someone who has your best interests in mind examine the offer. An experienced Spokane taxi accident lawyer can help manage the case and ease some of that stress. 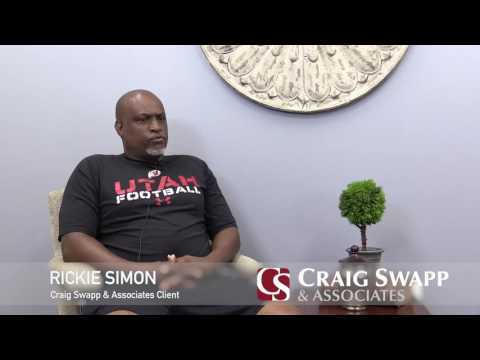 Our lawyers at Craig Swapp & Associates can make sure you have a qualified legal team on your side to help you move forward in the best way possible. If you or someone you know has been in a taxi accident, don’t risk the added stress and difficulty of attempting to navigate the process alone. Contact our office online immediately or call 1-800-404-9000 for a free consultation so we can help.